ECU has received five stars for teaching quality. A growing trend in Master of Business Administration (MBA) programs around the world is a focus on industry specialisation. These specialist MBAs provide the deep understanding of business and management of a typical MBA, while also allowing students to focus their studies on a specific industry. ECU recently expanded its MBA program to offer nine specialisations as part of a new two-year course. The changes to the MBA were designed to meet the needs of industry and develop ‘world ready’ graduates with highly transferable skills across a variety of sectors. The strong response to the new course structure has encouraged ECU to add additional specialisations in the next two years from business and related disciplines, including Entrepreneurship and Innovation, and Supply Chain and Logistics Management. It is expected to create one of Australia’s most flexible and industry-tailored MBAs. Students can also fast-track their learning by studying up to three units of the MBA’s core program at ECU’s summer or winter schools, and during each semester. 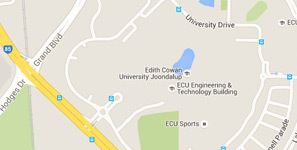 ECU’s focus on developing courses with a strong commitment to its students has not gone unrecognised. For the past eight consecutive years the University has achieved five stars, the highest rating, for teaching quality in the Good Universities Guide. The national Quality Indicators in Learning and Teaching (QILT) website, based on surveys of current and past students, ranks ECU first out of 39 universities for skills development in the discipline of Business and Management. According to Director of the MBA program, Dr Mehran Nejati, ECU’s international profile is also growing. This year it was again named in the global 2017 Young Universities Rankings (formerly known as the Times Higher Education 150 under 50). Dr Nejati said ECU’s specialist MBA was also increasingly popular with international students, who brought new ideas and fresh perspectives to class discussions. “By doing an MBA with ECU, you can immerse yourself in complex industry projects and challenges, learn from a diverse cohort of international students and faculty, transform your career prospects, and make an impact. For more information about ECU’s specialist MBA program, visit ECU’s postgraduate webpages.